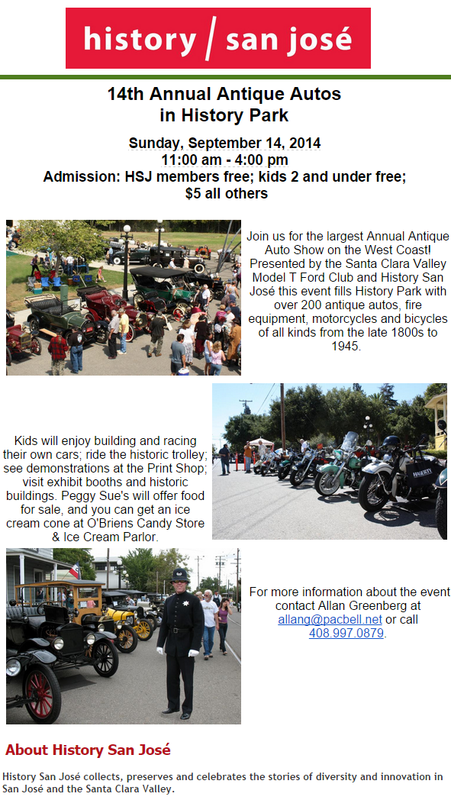 This Sunday, History San Jose is hosting the largest Antique Auto Show on the West Coast! There will be over 200 antique autos, fire equipment, bikes, and more. For all of the details, just have a look at the brochure below.